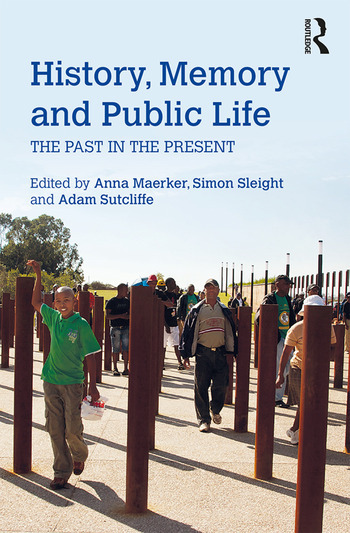 History, Memory and Public Life introduces readers to key themes in the study of historical memory and its significance by considering the role of historical expertise and understanding in contemporary public reflection on the past. Divided into two parts, the book addresses both the theoretical and applied aspects of historical memory studies. ‘Approaches to history and memory‘ introduces key methodological and theoretical issues within the field, such as postcolonialism, sites of memory, myths of national origins, and questions raised by memorialisation and museum presentation. ‘Difficult pasts‘ looks at history and memory in practice through a range of case studies on contested, complex or traumatic memories, including the Northern Ireland Troubles, post-apartheid South Africa and the Holocaust. Examining the intersection between history and memory from a wide range of perspectives, and supported by guidance on further reading and online resources, this book is ideal for students of history as well as those working within the broad interdisciplinary field of memory studies. Anna Maerker is Senior Lecturer in History of Medicine at King’s College London. Her work on the material culture of medicine and science and on the history of expertise includes Model Experts: Wax Anatomies and Enlightenment in Florence and Vienna, 1775–1815 (2011). Simon Sleight is Senior Lecturer in Australian History at King’s College London. His research interests include urban life in the past and the evolution of youth cultures. Recent publications include the co-edited collection Children, Childhood and Youth in the British World (2016). Adam Sutcliffe is Reader in European History at King’s College London. He is the author of Judaism and Enlightenment (2003), and the co-editor, most recently, of Philosemitism in History (2011) and The Cambridge History of Judaism, Volume 7: The Early Modern World, 1500–1815 (2018).